Kids Non-Profit Organization (KNPO) is dedicated to promoting children's safety and reducing fatalities and injuries from nighttime road accidents in developing countries. Programs must focus on protecting the most vulnerable road users; children! Kids Non-Profit Organization - passionate about road safety through innovation. Each day, more than five billion of us worldwide are involved in traffic. Many are children. More than 500 children and young adults under the age of 25 are killed in road accidents every day. Most of these accidents occur during the evening or dark hours. If people wear reflectors in the evening, they will be seen five times further away than without, giving drivers crucial time to stop or swerve. Kids Non-Profit Organization is dedicated to reduce the number of deaths and injuries in traffic through education using smart, effective actions in collaboration with partners. Our focus is on the most vulnerable people on the roads - children. KNPO solutions are global, simple, effective, environmentally sustainable and non-disruptive. Why are pedestrian road fatalities surging in the US? Every girl, from Rio to Riyadh will choose her own future one day! Repeat traffic offenders in Estonia get disturbing Christmas cards. By using existing SIM cards we recycle plastic into safety reflectors and save lives! KNPO's video, recorded in Livingstonia, Malawi. Kids Non-Profit Organization is dedicated to promoting children's safety; aiming to reduce fatalities and injuries from road accidents in countries where we work. KNPO provides road safety education and distributes reflective beads to children in countries where most people cannot afford reflective clothing or flashlights. 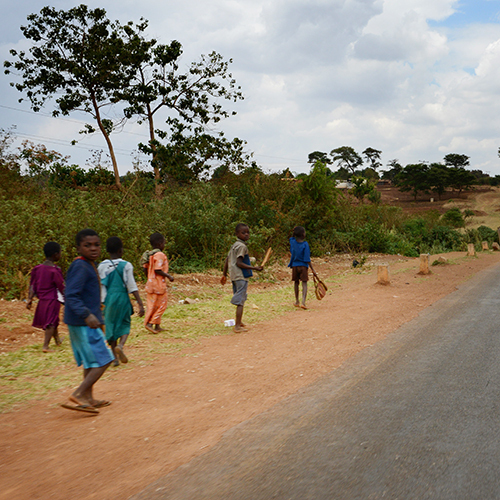 Our practical low-cost road safety programs can help save thousands of lives. Our mission is simple, effective, and non-disruptive to local businesses as well as the environment. Our programs focus on protecting the most vulnerable of road users: the children. Kids Non-Profit Organization is working with a large group of international organisations, enterprises and banks to impact road safety by recycling SIM cards into safety reflectors. In many developing countries, SIM cards are swapped and replaced regularly, resulting in lots of useless credit card-sized pieces of plastic. KNPO is transforming these into simple reflectors to be attached to a person, giving drivers vital warning of their presence. Half the world’s population now has a mobile subscription—up from just one in five 10 years ago. Another one billion are predicted by 2020, taking the figure to around 60%. Read more about The SIM Initiative! The Beads Initiative provides road safety education and reflectors to children in countries with high traffic accident rates. Our first country was Malawi. According to the WHO, road accidents here kill over 4,800 people every year - shockingly, over 2.3% of all deaths in Malawi. This drains the country of its young, ranking Malawi #3 in the world for road deaths. We give each child a box of reflective beads to make bracelets for themselves and their family. We combine this with theoretical education, actively engaging young minds. Our target for Malawi is to donate one billion reflective beads to children from 5 - 18. Read more about The Beads Initiative! A film by Luc Besson in collaboration with the Fédération Internationale de l'Automobile (FIA). According to the new report, road traffic injuries claim more than 1.2 million lives each year. They are the leading cause of death among young people aged between 15 and 29 years, and cost governments approximately 3% of GDP. Kids Non-Profit Organization is a member of various international organisations, working together to keep the roads safe.